Skype - is my favourite program in a last few years and now it is a new product and new business division of Microsoft. I like Skype and I use Skype that is why it is really nice purchase. Skype is a software application that allows users to make voice calls and chats over the Internet. Calls to other users within the Skype service are free, while calls to both traditional landline telephones and mobile phones can be made for a fee using a debit-based user account system. Skype has also become popular for its additional features which include instant messaging, file transfer, and video conferencing. Skype has 663 million registered users as of 2010. The network is operated by Microsoft Skype Division, which has its headquarters in Luxembourg. Analysts say Microsoft's $8.5 billion purchase of Skype is a defensive move against Google and Apple, as well as an offensive move to further expand Microsoft's reach beyond personal computers. 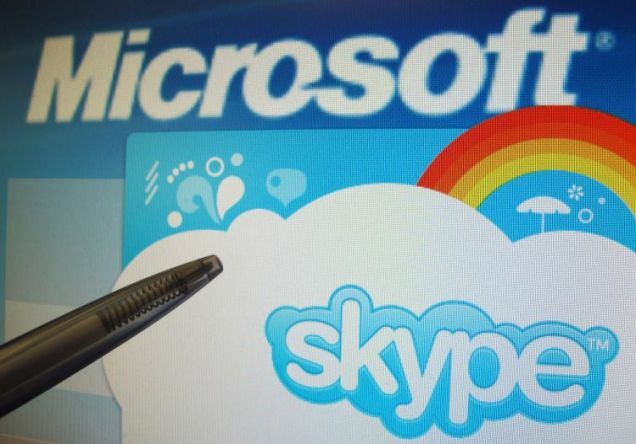 Yesterday on 10 May 2011, Microsoft announced it had agreed to acquire Skype for $8.5 billion. This marked a 300% increase in value for the company in the three years since the eBay write-down in October 2007. It will be Microsoft's largest acquisition ever. Skype will be a division within Microsoft, with Skype's former CEO Tony Bates—now its president—reporting to Microsoft CEO Steve Ballmer.The price Microsoft agreed to pay for the company is 32 times Skype's operating profits. According to the Financial Times this raises fears of a new tech bubble.Ars Technica and the BBC have questioned the value for Microsoft in the purchase. The Skype software was invented and developed by Estonian developers Ahti Heinla, Priit Kasesalu and Jaan Tallinn, the same individuals who together with the Swedish entrepreneur Niklas Zennström and Dane Janus Friis were also originally behind the peer-to-peer file sharing software Kazaa. Skype as a company was founded in 2003 by Zennström and Friis. In April 2003, Skype.com and Skype.net domain names were registered. In August 2003, the first public beta version was released. Skype uses a proprietary Internet telephony (VoIP) network called the Skype protocol. The protocol has not been made publicly available by Skype and official applications using the protocol are closed-source. Part of the Skype technology relies on the Global Index P2P protocol belonging to the Joltid Ltd. corporation. The main difference between Skype and standard VoIP clients is that Skype operates on a peer-to-peer model (originally based on the Kazaa software rather than the more usual client–server model (note that the very popular SIP model of VoIP is also peer to peer, but implementation generally requires registration with a server, as does Skype). I've been at Microsoft a long time at this stage, 31 years, the company is about 36 years old, and a couple of things I would highlight. No. 1, we're a super-ambitious company. We are irrepressible in moving forward, and pursuing new things. We've been consistently focused on empowering consumers and businesses to do more with technology. This Skype acquisition is entirely consistent with our ambitious forward-looking, irrepressible nature. Sometimes we build things ourselves, as we've done with Bing and Kinect, or we'll partner and form an alliance to seize the moment, and at other times we'll make an acquisition, as we're announcing today, one that placed our strengths, and is much more than the sum of its parts. "Microsoft and Skype share the vision of bringing software innovation and products to our customers,” said Tony Bates. “Together, we will be able to accelerate Skype's plans to extend our global community and introduce new ways for everyone to communicate and collaborate,” Bates said. “Tony Bates has a great track record as a leader and will strengthen the Microsoft management team. I’m looking forward to Skype’s talented global workforce bringing its insights, ideas and experience to Microsoft,” Ballmer said. Microsoft's $8.5 billion acquisition of Skype is the biggest technology deal so far this year, and the transaction would rank among the 12 biggest high-tech deals since 2000. Please visit http://nyti.ms/j64HPe to embed this video. Watch more videos at http://nytimes.com/video. About skype future by Tony Bates: http://www.youtube.com/watch?v=QFkTGLNfh6c and about future of Microsoft skype division from New York times: http://youtu.be/7RdPBd9CgO4. http://en.wikipedia.org/wiki/Microsoft_Skype_Division “Together, we will be able to accelerate Skype’s plans to extend our global community and introduce new ways for everyone to communicate and collaborate.” What do you think about this purchace?